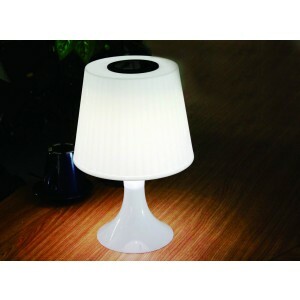 Material: PP + AS, with 1x0.25W high brightness White LED inside. Ideal for decoration, and with illumination effect with good atmosphere as well. 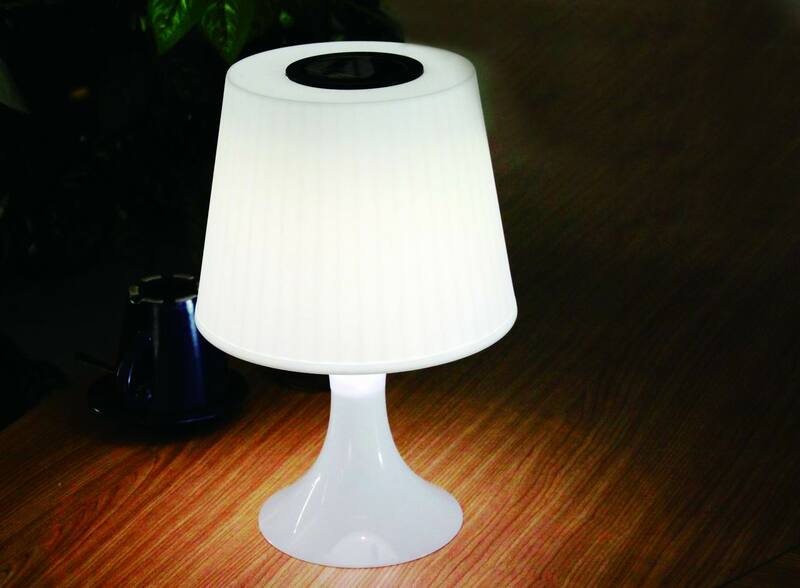 During the daytime, the solar top absorbs sun power, and in the evening the light works automatically for over 6-8 hours. In color box packing. (remarks: You can even use it inside your rooms --- in the daytime, take the Solar Top and place it outdoor, and then in the evening place it back onto this "table lamp"